A picture of Haitian Deputy Arnel Belizaire and Haitian activist Lucie Tondreau at the ceremony. 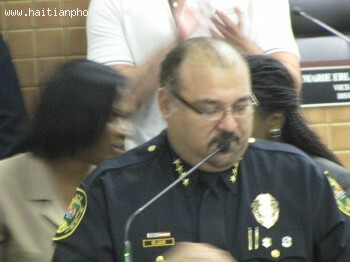 Marc Elias, First Haitian-American Chief of Police for North Miami. 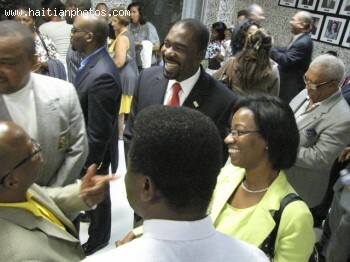 The Oat of Office ceremony took place on Monday, November 28, 2011 at North City Hall. A picture of Mark Elias delivering his speech at the ceremony. First Haitian-American Chief of Police for North Miami. 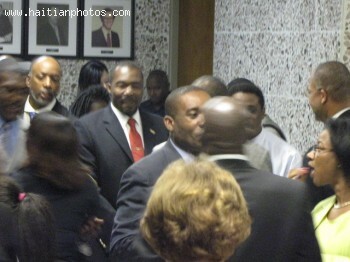 The Oat of Office ceremony took place on Monday, November 28, 2011 at North City Hall. 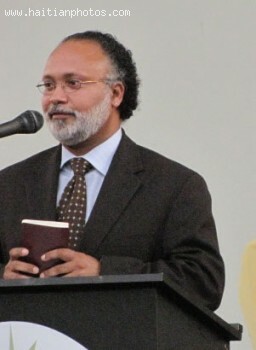 A picture of Arnel Belizaire at the ceremony. 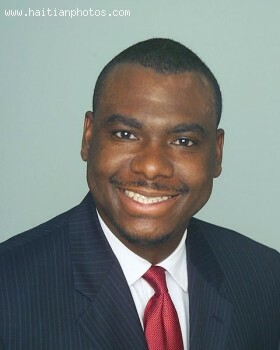 Here is a picture of Jacques Despinosse who is president of the Haitian American Leadership Coalition and executive Director of Haitian American Citizenship and Voter Education Center, Inc.
Councilman Jacques Despinosse was born in Port-de-Paix, Haiti. He immigrated to the United States in 1968, where he became a small business owner in Brooklyn, NY. He moved to Florida in 1977 and has lived in North Miami since 1989. 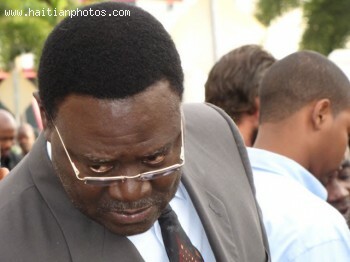 The Haitian president has been accused for holding foreign citizenships. 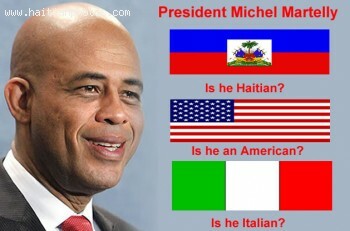 According to Senator Moise Jean-Charles, President Michel Martelly is a citizen of the United States and Italy, beside Haiti. A commission was formed following these allegation to investigate the nationality of the Haitian president. Here is a picture of Ronald A. Brise who was elected to the Florida House of Representatives in November 2006. The area it covers includes the communities of North Miami, Miami Shores, Pinewood, Biscayne Gardens, El Portal, Biscayne Park, and a portion of Miami. He was reelected unopposed for the 2008-2010 term. 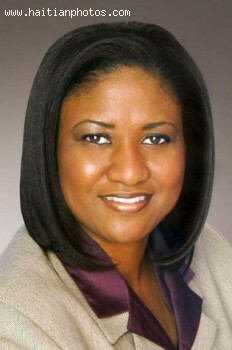 First Haitian-American elected to public office in US. 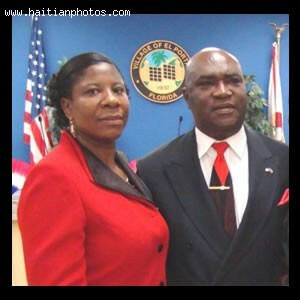 The current Councilman of North Miami Beach, Philippe Derose was born in Haiti in 1952. He moved to the United States in 1974. He received a bachelor's degree in psychology at California Coast University. Philippe Derose married to Marie Derose and together, they have three children. For the past 18 years, Marie Erlande Steril has been a resident of North Miami, most specifically in District 4 that she proudly represents on the City Council. She has been an active member of the community and has contributed to the betterment of the city at many different levels.